Why are some people afraid of Nuclear Energy? Argonne designed, built, and operated several reactors that collectively produced a vast amount of data and analysis that drove advancements in radiation protection, biosciences, reactor design, and evolution of materials used in reactor construction. AFSR at its original site near EBR-I. Click on photo to view a larger image. 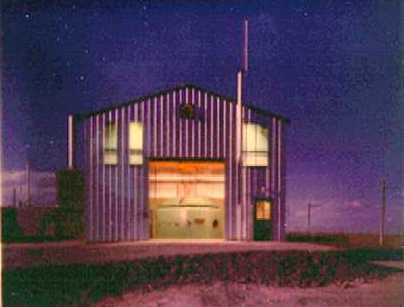 The Argonne Fast Source Reactor (AFSR) was designed and built in 1958 near EBR-I on the National Reactor Testing Station (NRTS, which was incorporated into the new Idaho National Laboratory in 2005). AFSR was placed in operation in October of 1959 with a design power of one kilowatt. and development of potential experiments in the fast reactor field. 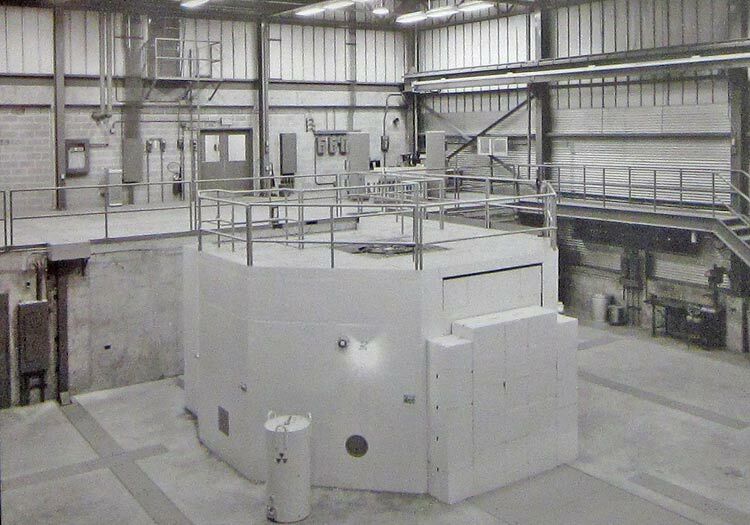 In the fall of 1970, this reactor was moved to a new location adjacent to the ZPPR facility at the ANL West site of the NRTS. The reactor is now shutdown and defueled. The Argonne Juggernaut reactor. Click on photo to view a larger image. 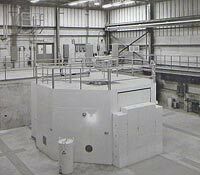 The Juggernaut reactor was a light-water moderated and cooled, graphite reflected research reactor with a rated thermal power of 250 kW. It operated from 1962 through 1970. The design of the reactor was similar to that of the Argonaut, which allowed the physics analysis of Juggernaut to be checked using the Argonaut as a “critical assembly”. The development of cold-neutron technology The reactor contained 14 vertical facilities for irradiation experiments, four horizontal beam holes, two thermal column openings, a universal test facility, and a test cave. All vertical facilities could be accessed from the top of the reactor. Juggernaut was located in Bldg. 335 on Rock Road at Argonne's Illinois location, just west of the Experimental Boiling Water Reactor (Bldg. 331). Folkrod, J. R., et al., "Design Summary Report on the Juggernaut Reactor", ANL-6616, Argonne National Laboratory, 1962. 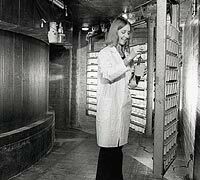 Argonne's JANUS reactor was the world's first nuclear reactor designed and built solely for biological research. Click on photo to view a larger image. 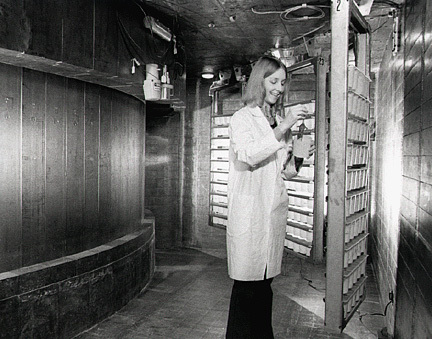 The JANUS Reactor Facility was used as a neutron source to research the biological and genetic effects of acute and chronic exposures to neutrons arising from the fission process. Janus featured a pair of rooms for irradiation experiments on opposite sides of the reactor core. Thick doors allowed neutrons from the reactor core to enter the rooms -- hence the name Janus, the two-faced Roman god of doorways. The Materials Testing Reactor. Click on photo to view a larger image. 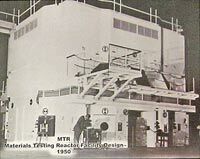 The Materials Testing Reactor (MTR) was developed in a cooperative effort by Oak Ridge National Laboratory and Argonne National Laboratory. 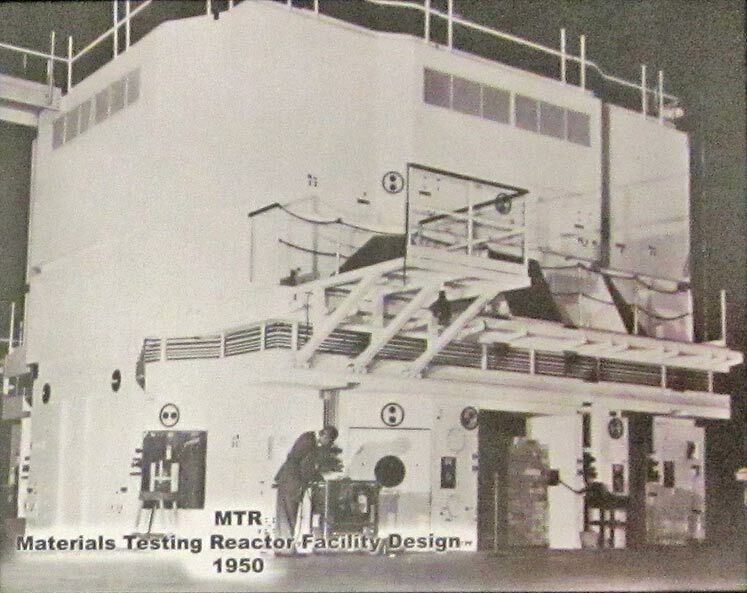 The primary purpose of the MTR reactor was to test under conditions of severe neutron bombardment the materials which might be used in reactor construction (in the structures, cooling systems, or shields). Cutaway of the Argonne Thermal Source Reactor. Click on photo to view a larger image. The ZPR-I core and vessel were modified in 1953 to allow leakage of neutrons from the core to drive fast-spectrum exponential assemblies. Since this was the fourth Argonne zero-power experiment, the reactor was renamed ZPR-4. In 1960, after completion of the exponential experiments, the reactor was moved to another building and several modifications were made that included replacement of the core tank and modifications to the control rod and safety rod systems and the addition of a thermal column. To indicate that the reactor was used primarily as a source of neutrons, it was renamed the Argonne Thermal Source Reactor. The reactor was shut down in the late 1980s. The last of its fuel was removed in December 1992 and sent to the Savannah River Plant near Aiken SC. Argonne’s Nuclear Energy Exhibition Hall highlights our pioneering role in developing peaceful uses of nuclear technology used by major nuclear power plants throughout the world. For more information, call (630) 252-5562 or email tours@anl.gov.